Internationalization is at the core of IBEC’s scientific and training strategy. Actions enhancing IBEC’s international profile are designed to foster exchange in complementary techniques and trigger new collaborations, as well as to place the institute as an international reference centre in bioengineering. Mobility plays a key role in research training and career development. 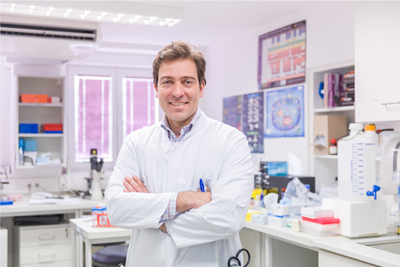 Interaction with outstanding complementary researchers, either during stays outside IBEC or by bringing people into IBEC, is essential for the training of staff at all levels. Thanks to existing mobility schemes, IBEC researchers can enjoy intense transnational and multidisciplinary exchange, as well as the expertise and facilities of the best institutions worldwide. In addition, mobility is the seed for future collaboration and joint projects, and serves to expand the international network of research institutions linked to IBEC. In the framework of the Severo Ochoa programme, IBEC has launched two new internationalization programmes at Group Leader level: the visiting programme for outstanding external researchers, and the sabbatical programme for internal researchers. IBEC will implement, starting February 2017, an annual call for IBEC group leaders to propose visitors. In principle, visitors should stay at least three months, unless exceptional circumstances apply. Candidate should be PIs of their own research lab and have an outstanding international profile. IBEC’s directorate will evaluate the proposals based on the merits of the candidate, the relevance of the project and the added value of the stay for the hosting research group and IBEC. Depending on the number of proposals positively evaluated and the complementary cofunding secured by the candidate/group leader, IBEC will co‐fund each visitor’s stay. The level of cofunding will range from the travel expenses to come to Barcelona, to a stipend of 2.000€ per month for three months. In every case, IBEC will provide its selected visitors with office space and the assistance of IBEC’s support staff. Laboratory space, if needed, should be provided by the hosting research group. During their stay, meetings with interested group leaders will be organized to explore ideas for collaboration, and each visitor will give a seminar to the whole IBEC community to present their research. At the end of the stay, the hosting group leader will provide a short report about the activities carried out and the benefits obtained. Applications should be sent to strategicinitiatives@ibecbarcelona.eu together with a CV of the candidate before 31st January 2018. Applications will be evaluated as they are received, so you are encouraged not to wait until the application deadline. IBEC will implement, starting February 2017, an annual call for its Sabbatical Programme for its group leaders, who are encouraged to take sabbatical leave at internationally recognized institutions where they can establish new collaborations and explore unconventional paths that boost their current research. IBEC’s directorate will evaluate the proposals based on the relevance of the project and the added value of the stay for the group leader and IBEC. In principle, sabbatical leave should last at least three months, unless exceptional circumstances apply. Depending on the number of proposals positively evaluated, IBEC will co‐fund each sabbatical stay with a maximum of a stipend of 1.000€ per month for six months, plus travel expenses. The funding may be used to cover teaching duties during the stay. During their sabbatical leave, the group leader will be asked to give a seminar at the hosting institution. At the end of the leave, the group leader will provide a short report about activities carried out and the benefits obtained, as well as giving a seminar at IBEC about their experience. Applications should be sent to strategicinitiatives@ibecbarcelona.eu before 31st January 2018. Applications will be evaluated as they are received, so you are encouraged not to wait until the application deadline. Xavier Trepat’s Integrative Cell and Tissue Dynamics group is hosting Prof. Jonel Trebicka, Head of the University of Bonn’s Laboratory for Liver Fibrosis and Portal Hypertension in its Department of Internal Medicine, during 2017. During his stay, he will study the mechanobiology of stellate cells in liver fibrosis, harnessing the expertise of the IBEC group in cell mechanics and migration, including traction force and confocal microscopy, durotaxis assays and magnetic cytometry. His stay at IBEC is funded by the foundation EF-CLIF, the European Foundation for the Study of Chronic Liver Failure. 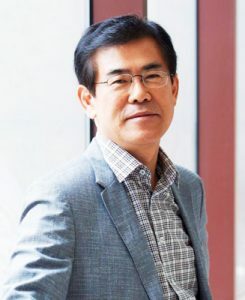 Prof. Dong-Pyo Kim, Head of the Center of Intelligent Microfluidic Pharmaceutical Synthesis at POSTECH (Pohang University of Science & Technology) in Korea is spending a six-month research stay in Samuel Sánchez’s Smart nano-bio-devices group at IBEC. Prof Kim is a world expert in microfluidics, and his collaboration with the IBEC group will aim to develop unique functional drug delivery systems that take advantage of the excellent heat/mass transfer in microfluidics. The ultimate goal of the collaboration will be to develop an intelligent synthetic microreactor system for highly efficient ‘one-flow’, ‘feed-to-end’ production of active pharmaceutical ingredients. The work will involve creating a microrobot – for which Samuel’s group is key –that will be synthesized by microfluidic systems and in situ loaded drugs into micro- or nanoscaled carriers with self-actuating functions. It’s hoped that by the end of the project, the researchers will be at the stage of assessing the bot’s function in a biomimetic blood vessel. Prof Kim, who has also worked in the USA and been a visiting professor in Europe and Japan, is the winner of many accolades including the National Research Foundation (NRF)’s Scientist of the Month in 2016 and the Korean Chemical Society’s Academic Excellence Award in 2017. Fabio Variola, Associate Professor at the University of Ottawa (Canada), is spending 2017 in the Biomimetic Systems for Cell Engineering group. Having created, for the first time ever, a 3-dimensional hierarchical surface that mimics biologically successful life-forms such as marine diatoms or unicellular algae, Dr. Variola is collaborating with Elena Martinez and her group to determine the bioactive properties of this surface. 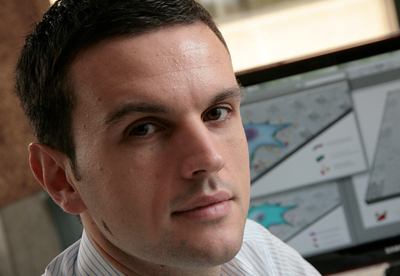 By working together at IBEC, Dr. Variola’s experimental knowledge of synthetic nanostructured surfaces and Elena’s extensive experience in biomimetic ones is hoped to lead to new advances in understanding nanoscale hierarchical structures in nature, as these underlie the development of both normal and pathological conditions. The ultimate aim is to develop new diagnostic tools and approaches for health-related research.